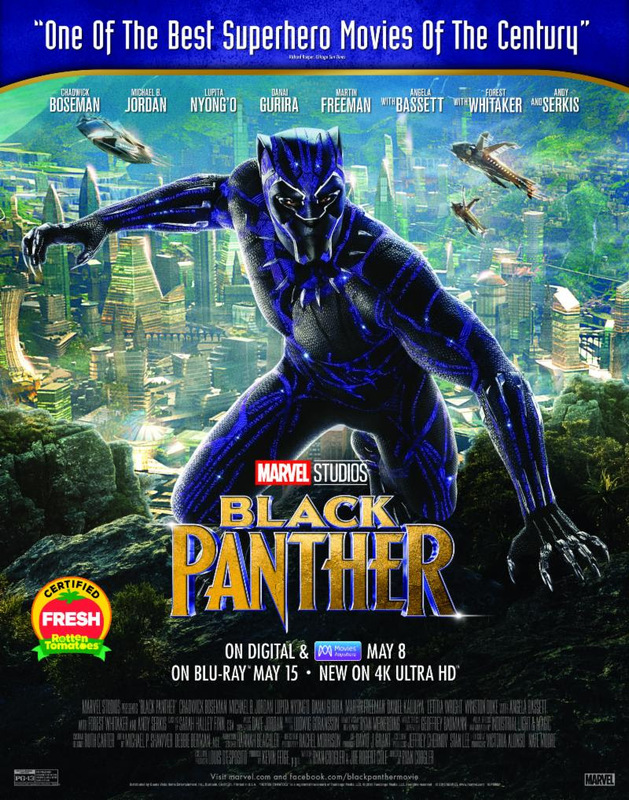 Marvel Studios' "Black Panther," the highly celebrated story of T'Challa (Chadwick Boseman), a young African prince who takes on the mantle of King and Super Hero, has thrilled and inspired generations of moviegoers around the globe. 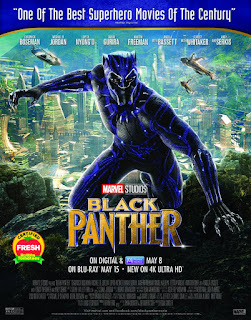 Now, fans can bring home the phenomenon, packed with light-hearted fun, pulse-pounding action and a powerful message, and watch it over and over again, Digitally in HD and 4K Ultra HD™ and Movies Anywhere on May 8 and on 4K Ultra HD™, Blu-ray™, DVD and On-Demand on May 15. With both Dolby Vision and Dolby Atmos immersive sound, 4k Ultra HD offers consumers a transformative viewing experience.